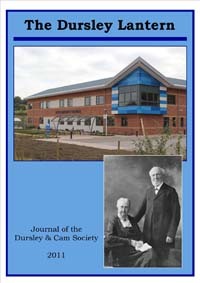 The Dursley & Cam Society is a local history society which began after an open invitation in 1981 to local residents for anyone interested in the possibility of forming "A Civic Society for Cam and Dursley". 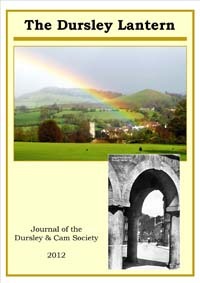 Much interest was gathered and an inaugural meeting to discuss the proposals was held at Dursley Community Centre on March 3rd 1982. 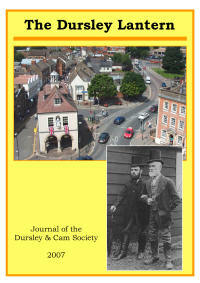 It was chaired by Ken Hall and the programme for the evening consisted of a slide show by David Evans entitled "Old Cam and Dursley Illustrated", a talk on how such a society could operate, given by Matt Welsh, and an open discussion on the general idea of forming a society. It was all agreed and the first committee came into being with David Evans as Chairman, Alan Pearce as Treasurer and Jill Davis as Secretary. 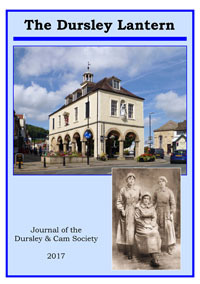 Since those early days the society has gone from strength to strength and in 2007 it celebrated its Silver Jubilee with a commemorative evening in the Town Hall. 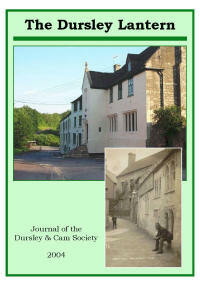 From September through to July the Society holds an illustrated talk on the second Tuesday of each month, at Dursley Methodist Church, starting at 7.30pm. 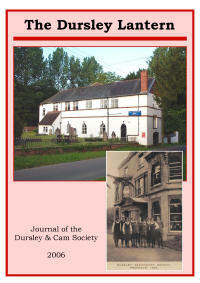 All are welcome, members and visitors alike. 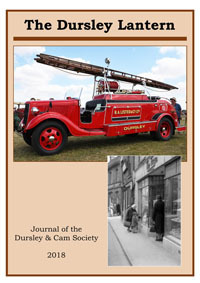 For further details of Society events or membership please email me. 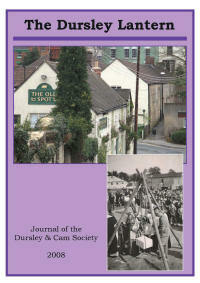 Do you remember any of the old shops in Dursley town centre in days gone by? 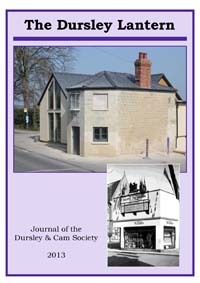 The Dursley & Cam Society is embarking on a project to record the change of use of the retail, business and public buildings in the town centre and is keen to hear from anyone who might have some information about shop and company names, owners and dates. 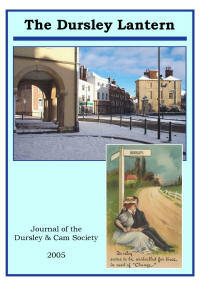 If you do have something to share please do email me or perhaps join the forum to contribute to the project. 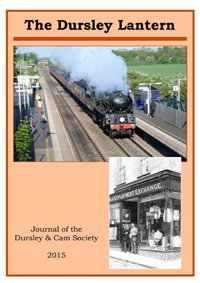 In 2004, the Society also began publishing its very successful annual journal, "The Dursley Lantern", a high quality publication containing articles of local interest. 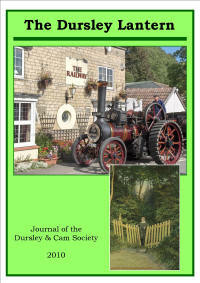 These are available free to members of the society and are also available for sale to everyone else. 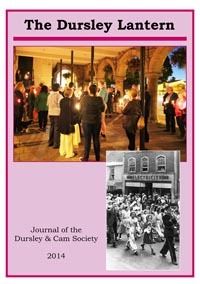 Previous editions of "The Dursley Lantern" are still available and a brief description of each is given below. 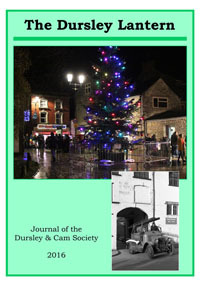 Copies of "The Dursley Lantern" can be purchased in the Dursley Heritage Centre or by post. Payment by cheque only and postage & packing charges are dependent on the quantity ordered. 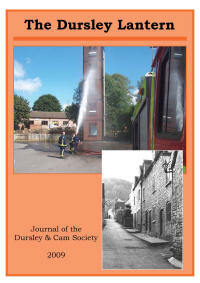 To order copies or enquire about postage charges, please email for further details.